Learn how others have made an impact through their acts of giving to Northern Star Council and others. Barbara Schmidt and husband Jim Persoon's involvement in the Northern Star Council may have begun differently, but they agree on the impressive nature of the Scouting movement. Scouting has been an important part of the Koepke family for four generations. Bob is an Eagle Scout as are his father, brother and two sons. Jim and Linda Lee are well known among the Northern Star Council Scouting community for their belief in Scouting and the experiential learning opportunities it provides for young people. Pat and Shelly were recently married. They both had been dedicated volunteers at the Scout Council for many years. Nancy and David were dedicated volunteers. 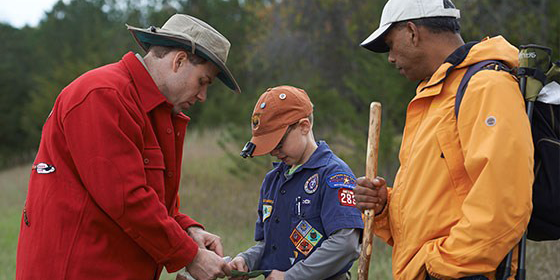 Over the years, they had seen many individuals helped by the good work of Scouting.